Published: Oct 1, 2018 · Modified: Apr 11, 2019 · By Jen Sobjack · This post may contain affiliate links. 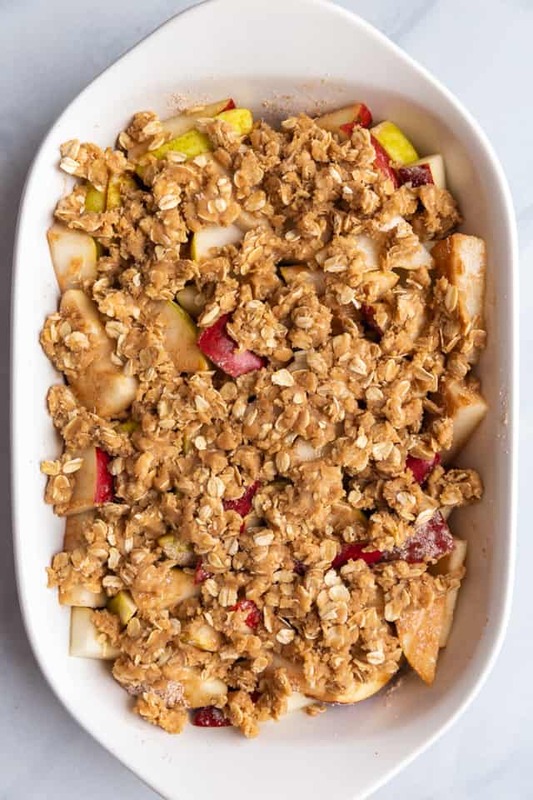 Pear crisp made with sweet pear filling topped with a crunchy oat, cinnamon, and ginger topping. This is one fall dessert worth making! I love using fruit when it’s prime season and pears don’t seem to get enough love. But, each year I try to make something with them. Chia pear scones, pear walnut crisp, maple pear clafoutis, and spiced pear bread have all made an appearance on the blog over the past 4 years. Today I’m bringing back the pear crisp with a few alterations. This one is pretty basic and suitable for everyone. It had an incredible flavor and texture. And it’s just as simple as my easy apple cobbler but the topping is more crunchy and the filling is sweet and supple. 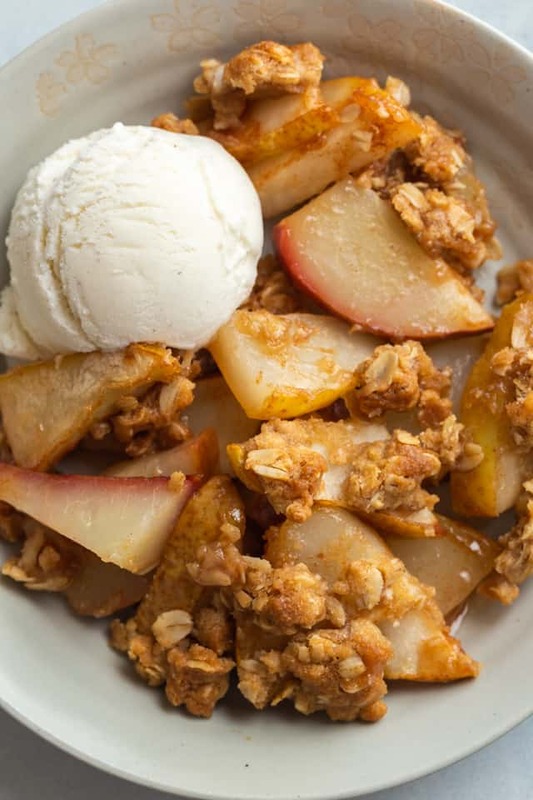 Can you make pear crisp with oatmeal? 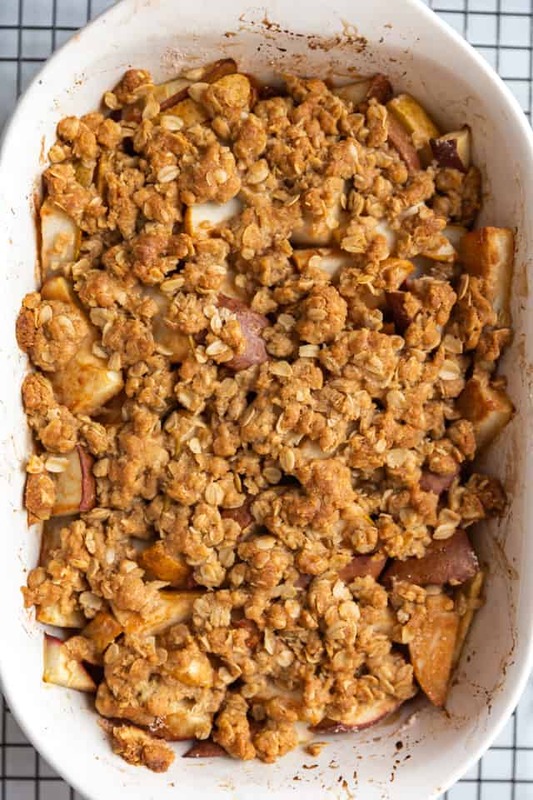 The topping for this crisp is made with flour, rolled oats, brown sugar, cinnamon, ground ginger, salt, and melted butter. 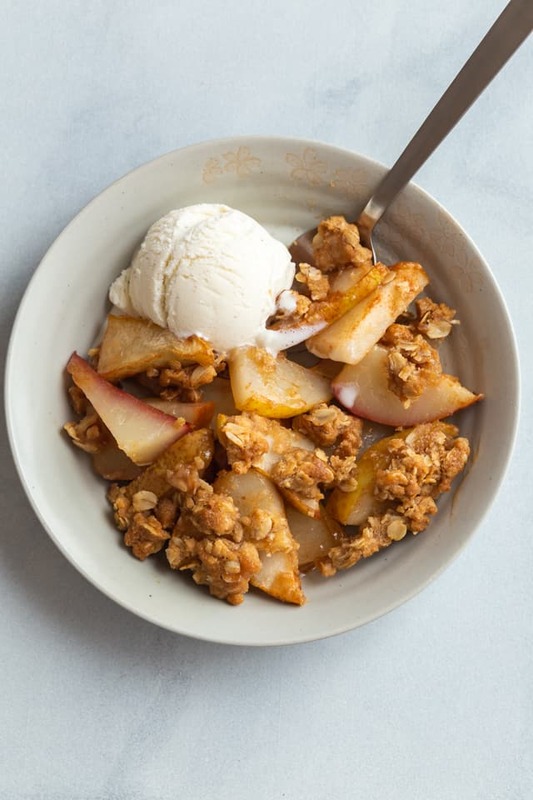 Can I make pear crisp with canned pears? I don’t recommend using canned pears for this recipe. They are too soft and wet which will make the filling mushy. 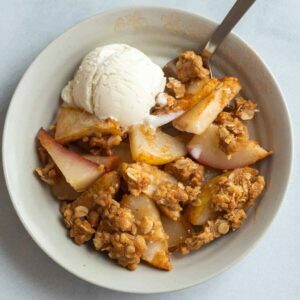 How to make pear crisp? I used a combination of Red pears and Bartlett pears. You can peel them if you want but I like seeing the different colors in my crisp. Plus the skin is pretty thin and soft on ripened pears. Arrange them in a 2-quart baking dish that has been smeared with butter. 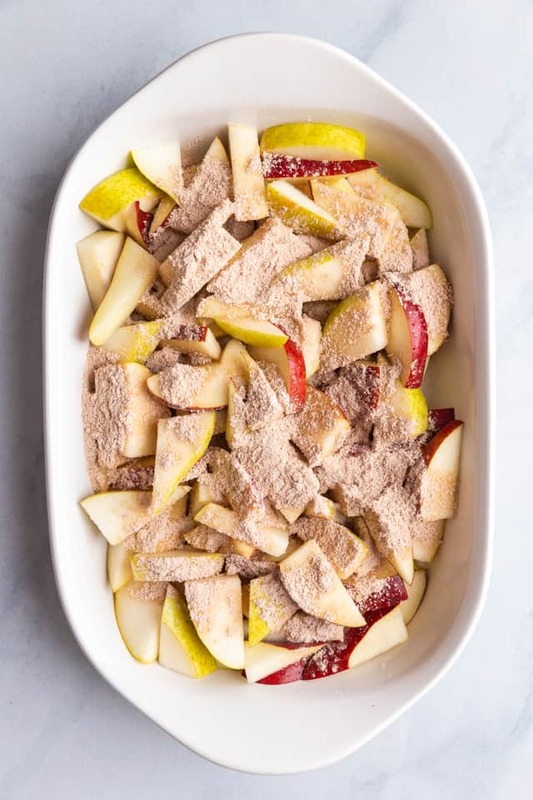 Combine sugar, cinnamon, and cornstarch then sprinkle it over the pears. Stir the pears until they are evenly coated in the sugar mixture. 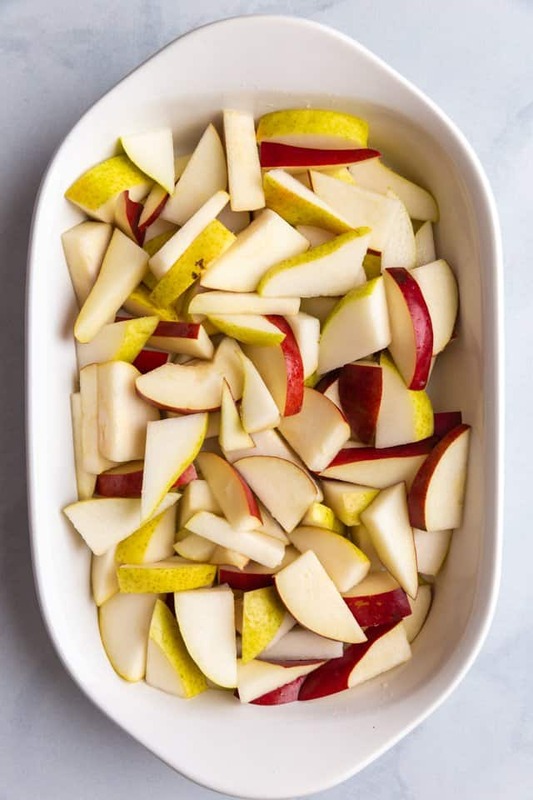 Take a moment to rearrange the pears so they are spread evenly in the pan after stirring. 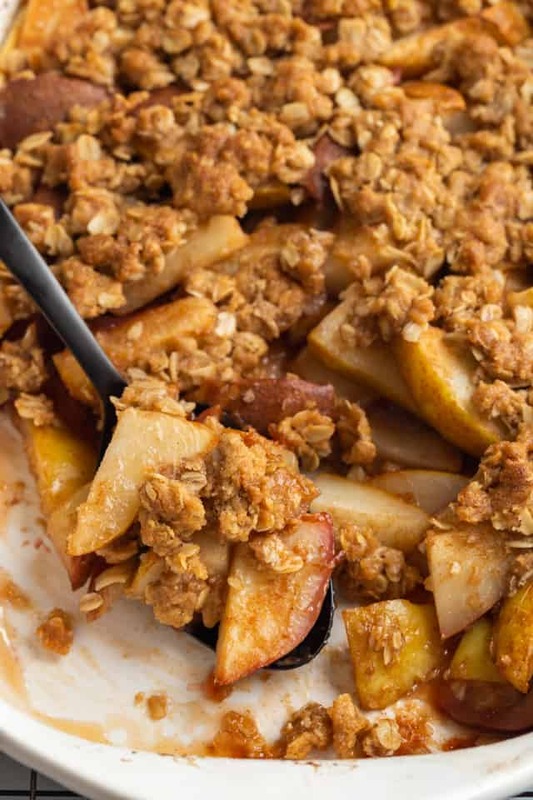 Combine the ingredients for the topping then crumble it over the pears. The crisp needs to bake for around 0 minutes in a 375°F oven. The topping should be golden brown and crisp. Choose pears that are ripe but still firm. If the pears are too soft they will make the filling watery. Use any pear variety you like! Or use a combination like I did. Save yourself some time and don’t peel the pears. Pear skin is super soft and won’t ruin the texture of the crisp. Just wash the pears thoroughly and slice them into thin slices. Preheat the oven to 375°F. Smear the bottom of a 2-quart baking pan with butter. Toss sliced pears with lemon juice and arrange in the bottom of the pan. 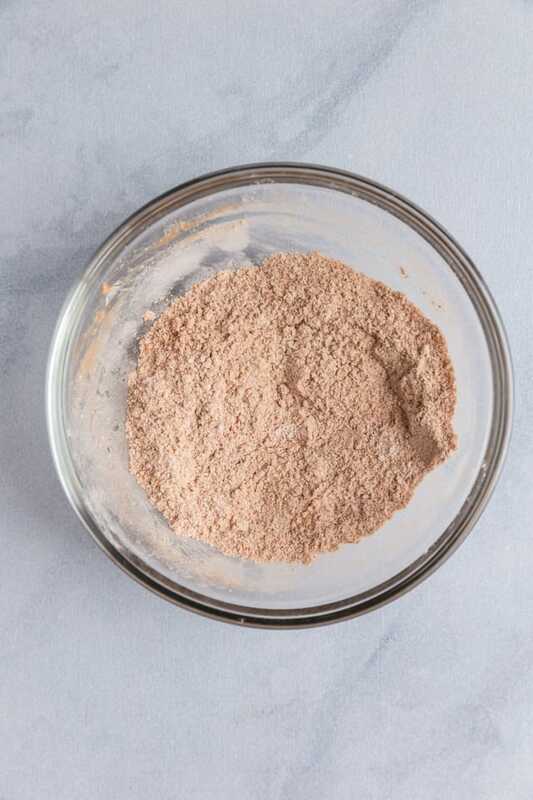 In a small bowl, whisk the granulated sugar, cornstarch, and cinnamon together. Sprinkle over the pears then stir to evenly coat. 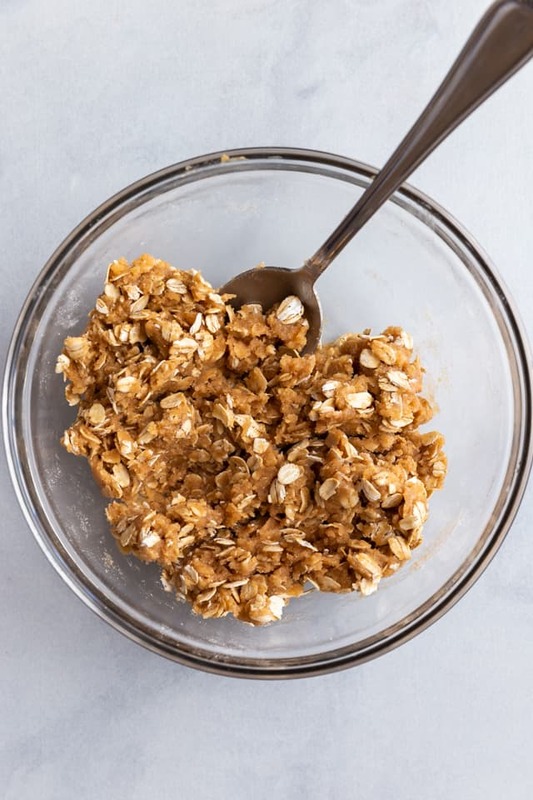 In a medium bowl, combine the flour, oats, brown sugar, cinnamon, ginger, and salt until well combined. Add the butter and stir with a fork until it forms a thick paste. Crumble the topping evenly over the pears. Bake for 35-40 minutes, until the topping is deep golden brown. Cool on a wire rack for 15 minutes then serve. *Use any variety of pear you like. I used a combination of Bartlett and Red Pears. * You don’t need to peel the pears unless you really want to. Just wash them thoroughly and use organic pears.